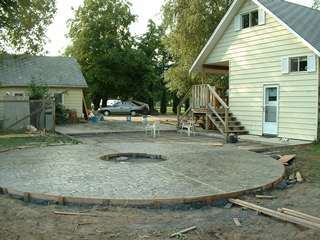 Each and every concrete patio is attractive in its own unique way. With some landscaping imagination a broomed or stamped concrete patio can greatly enhance the ambiance and functionality of your home’s outdoor space! 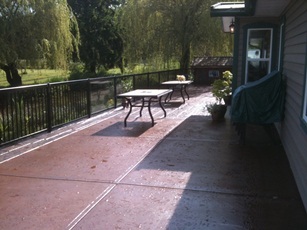 At Captain Concrete we work with homeowners throughout Abbotsford and the Fraser Valley to create a usable outdoor patio space perfect for entertaining. We’ll help you create the space you’ve always dreamed of with easy to maintain colored, stamped, textured or combination concrete! You decide and we’ll help you create your dream space. 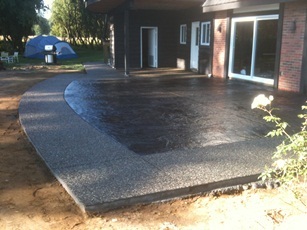 Concrete patios are very low maintenance. Concrete patios typically cost less than other outdoor flooring such as brick or natural stone. 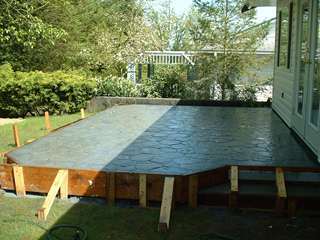 Concrete patios are less labour intensive to install. 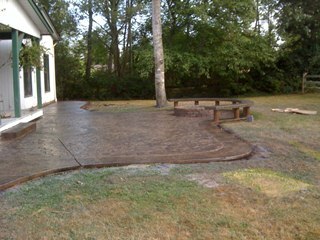 Concrete patios can be any size or shape. Concrete patios stand up to harsh weather conditions. Concrete patios don’t let grass and weeds grow through the surface like paving or concrete patio slabs. Head over to Houzz or Pinterest and you’ll be bombarded with concrete patio designs and ideas you can bring to us to make a reality. Some of our favorite poured concrete patio ideas include using cobblestone stamped concrete, incorporating a concrete fire pit, benches or retaining wall into the design, as well as using a combination of concrete finishes to create distinct functional spaces for the patio. 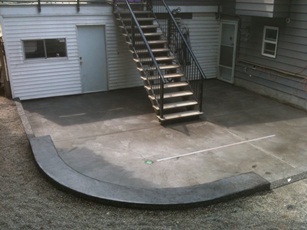 For a 500 square foot removal and replacement project, the cost of a concrete patio can range anywhere from $8.00 to $17.00 per square foot depending on the design and selected concrete finish. 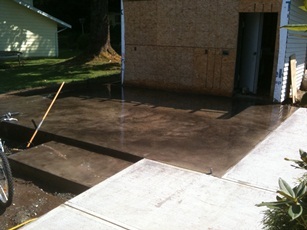 Call Our Concrete Contractors Today! 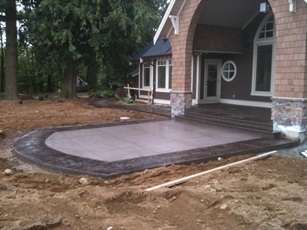 Captain Concrete is experienced in offering a wide range of concrete services such as concrete stamping, concrete driveways, concrete patios, and more. 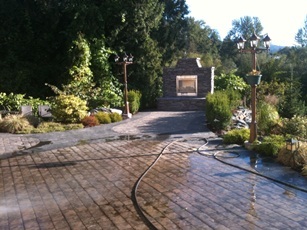 Our services are offered in Abbotsford, Fraser Valley, Mission, Aldergrove, Surrey and other areas. 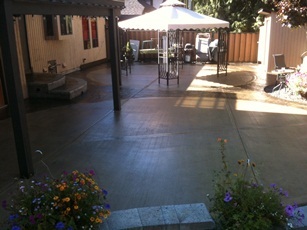 Call us at 604-302-0020 or fill out our Contact Form to get your own no obligation Concrete Patio Quote.